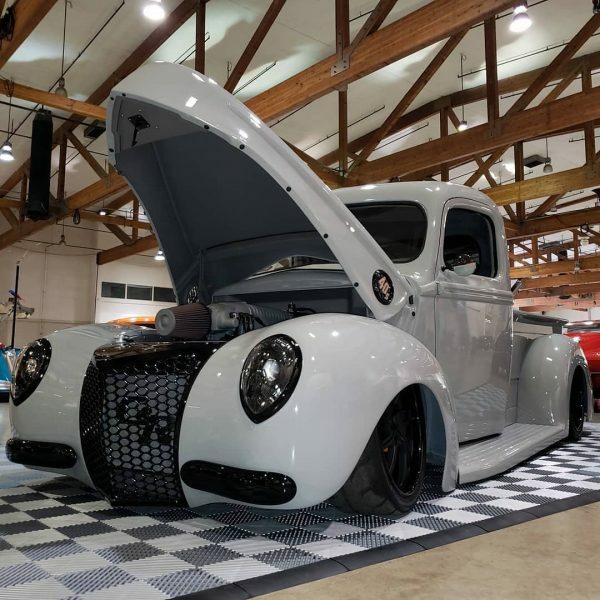 This 1940 Ford truck called “40 Shades of Grey” was built for Chris Church by Carolina Kustoms in Portland, Oregon. 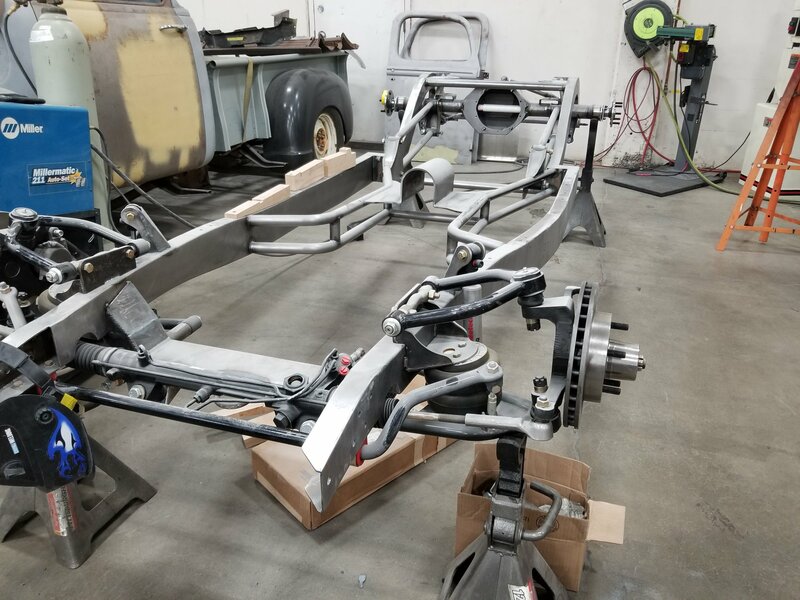 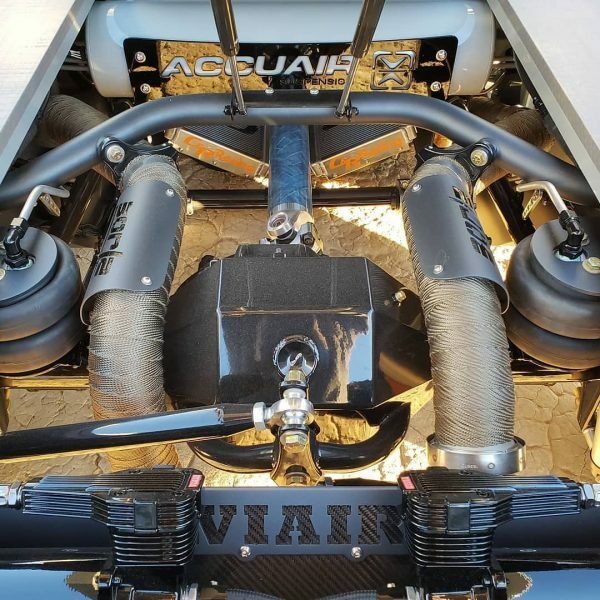 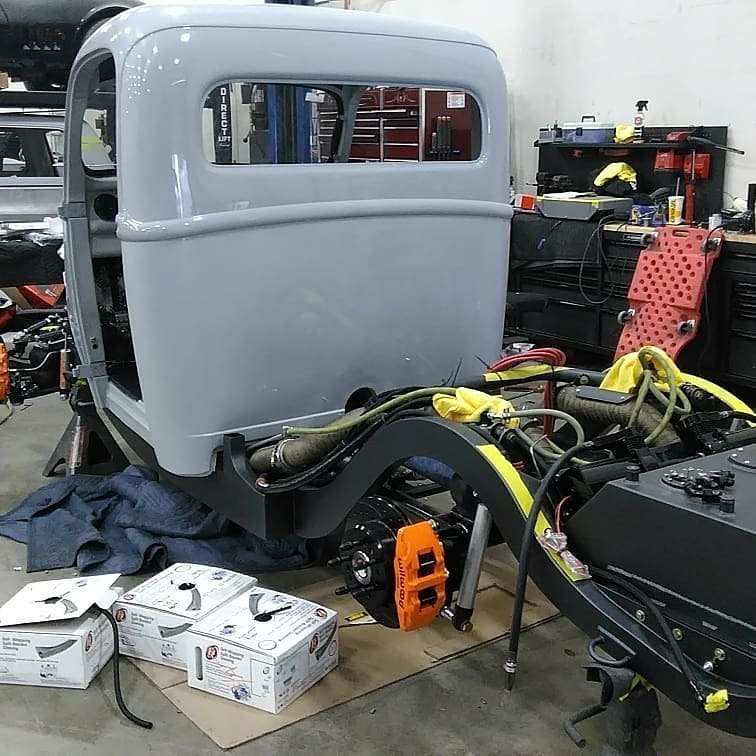 The body sits on a boxed and reinforced reproduction frame with a No Limit Engineering Mustang II independent front and AVS 4-link rear suspension with Watt’s link. 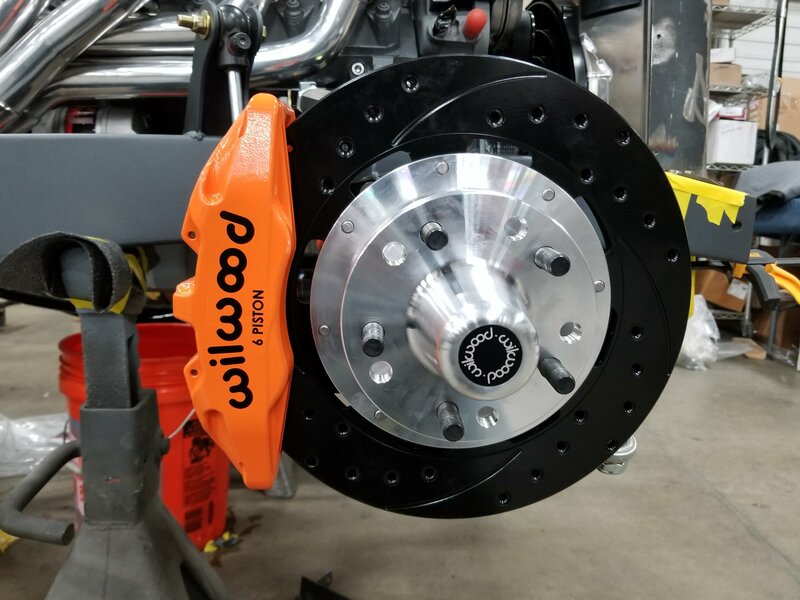 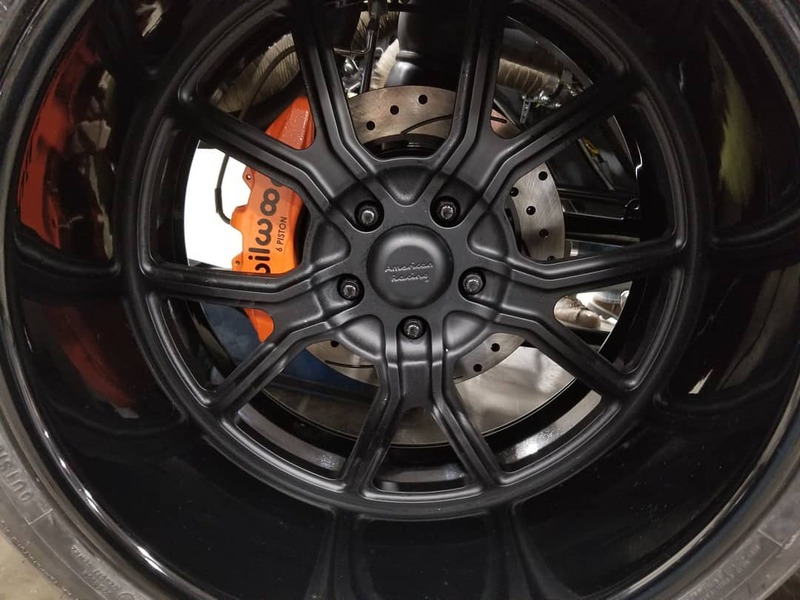 It rides on Slam Specialties SS8 airbags and RideTech Q-series shocks and stops with Wilwood 12.9-inch slotted/drilled rotors with six-piston calipers. 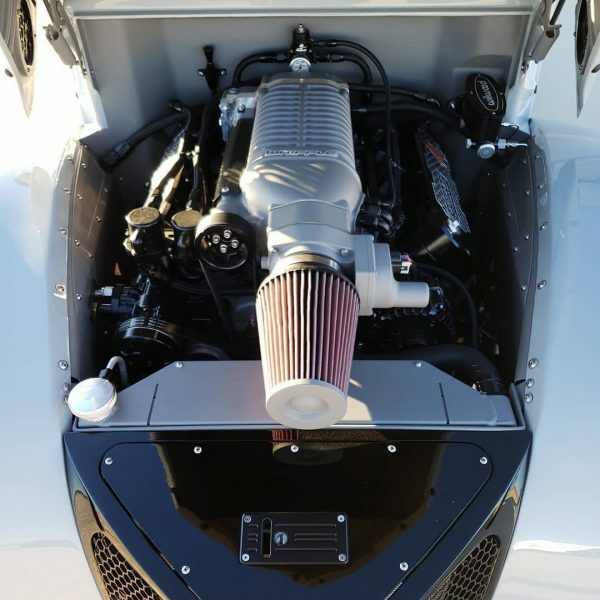 Under the hood is a Wegner Motorsports 376 ci LS3 V8 that makes 935 horsepower thanks to a Whipple 2.9 L supercharger. 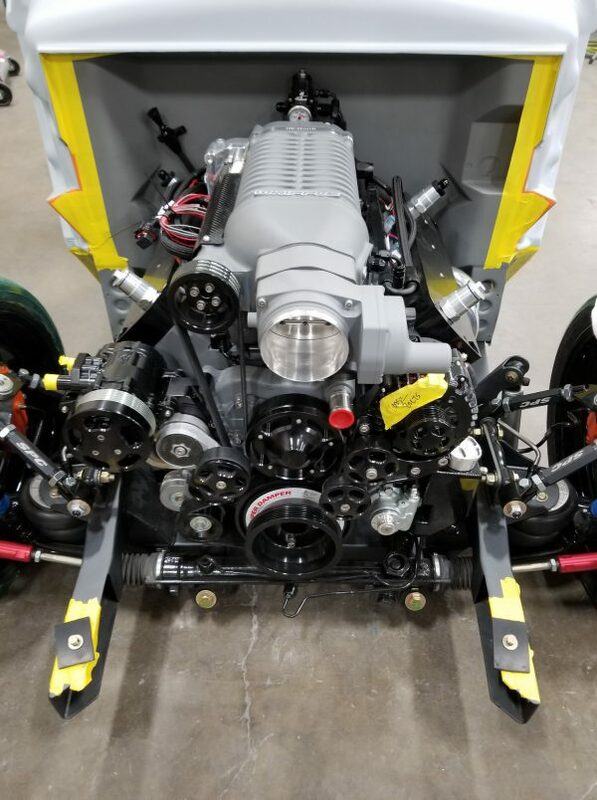 The engine also features Wegner pistons, forged crank, Bullet Cams camshaft, ported heads, and Nick Williams DBW 103 mm throttle body. 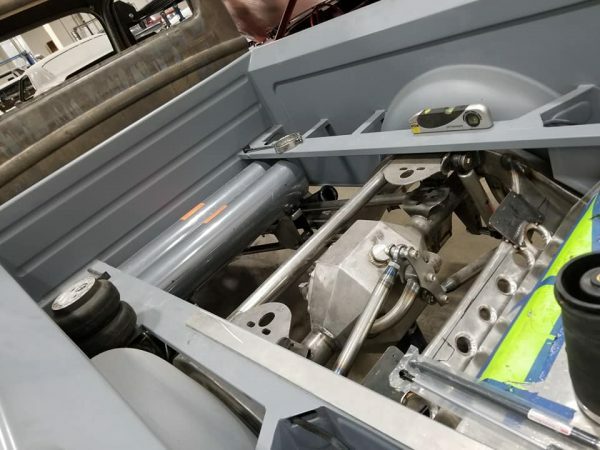 The drivetrain consists of a A-1 Performance Transmission 4L80E four-speed automatic, QA1 carbon fiber driveshaft, and Moser 9-inch rear end with Eaton Trutrac LSD and 3.73 gears. 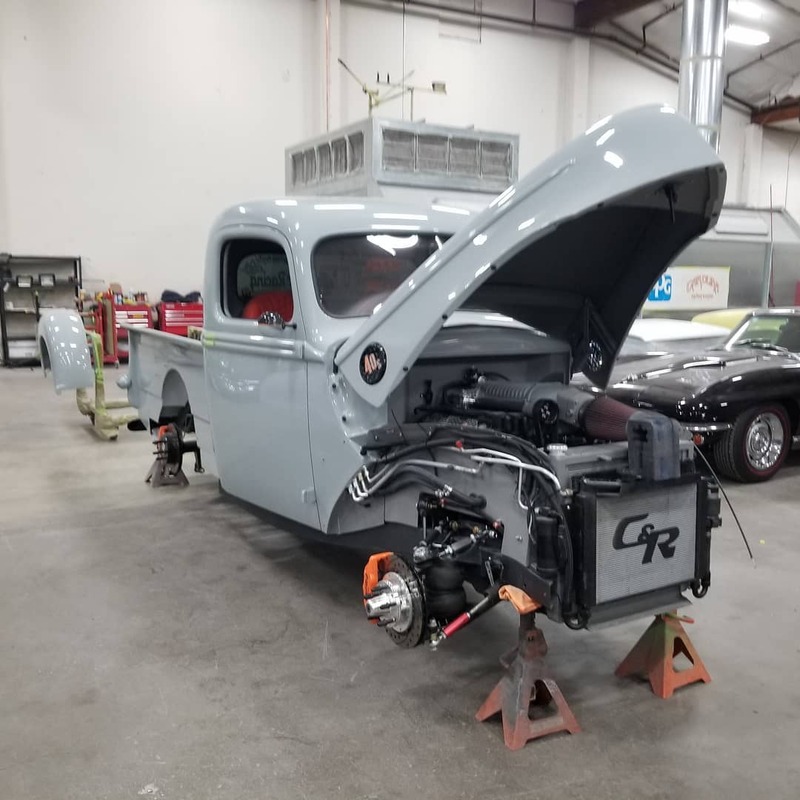 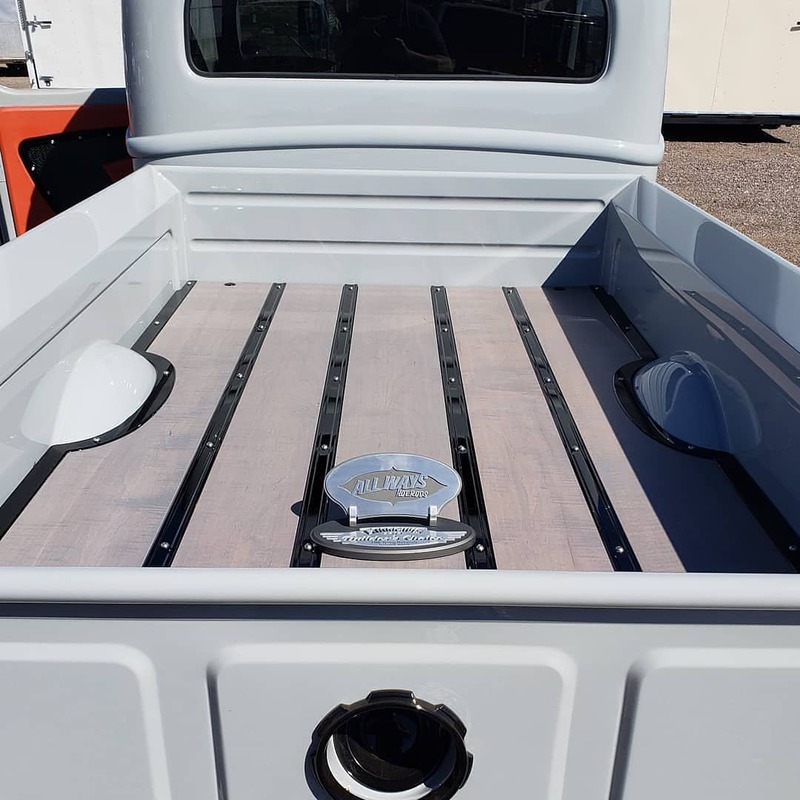 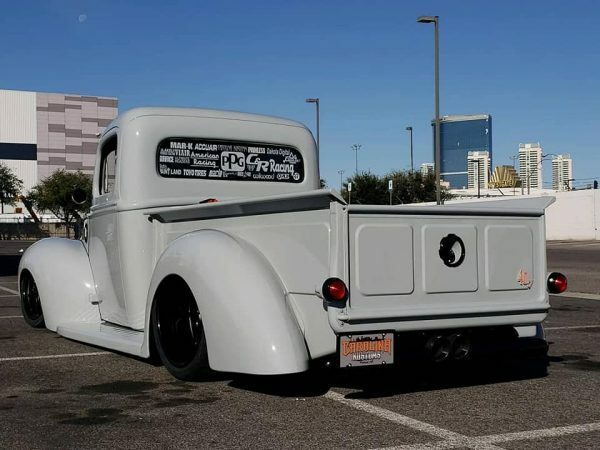 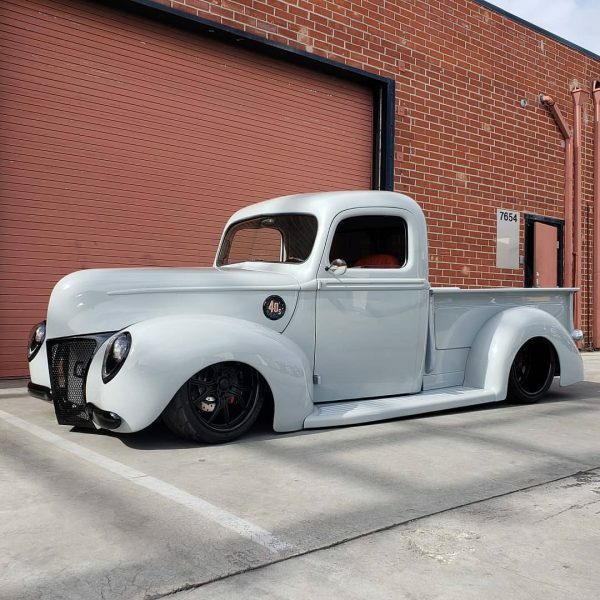 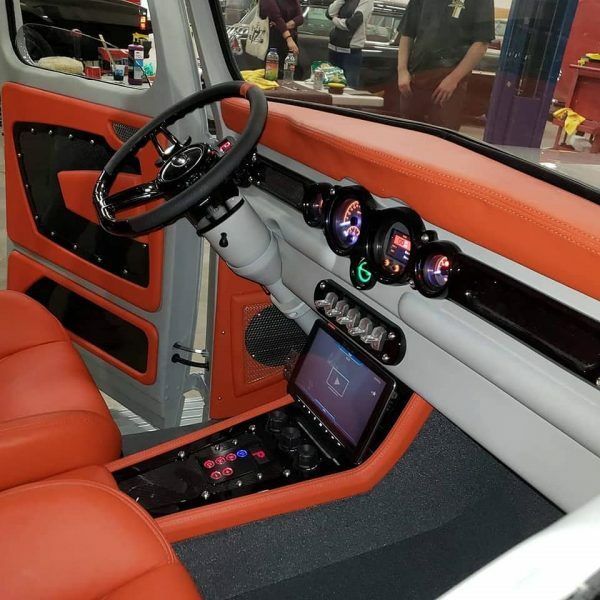 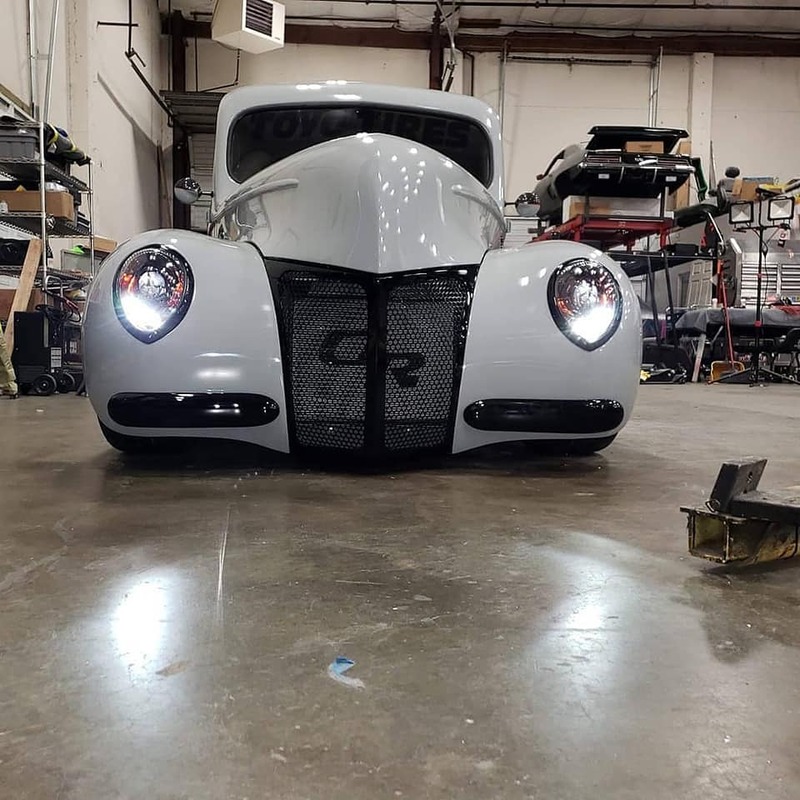 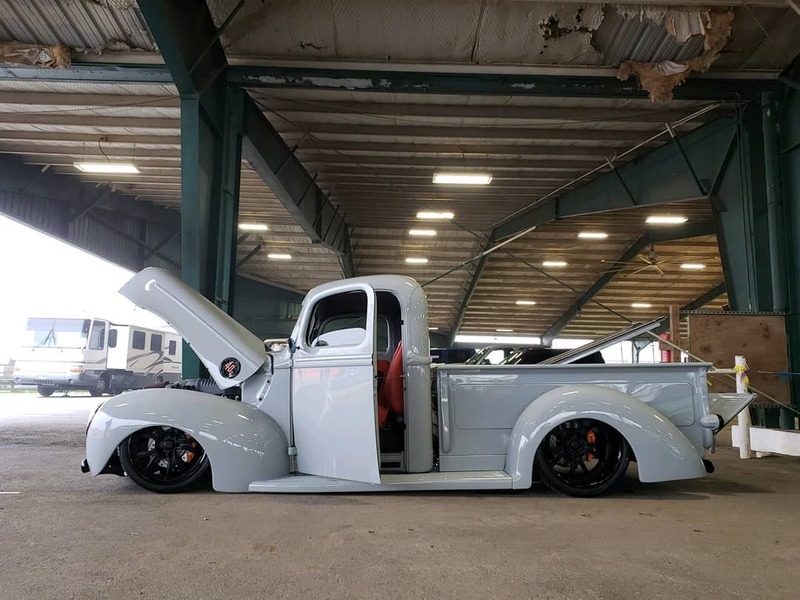 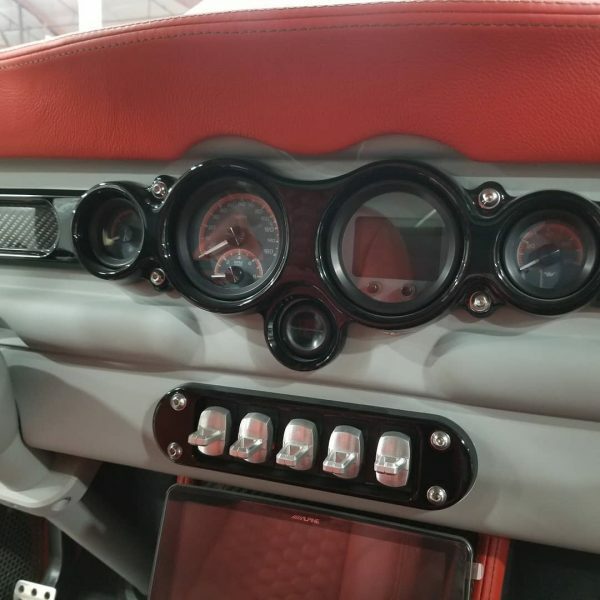 View more photos and details of the truck in HotRod’s article.